NO CHAIN. 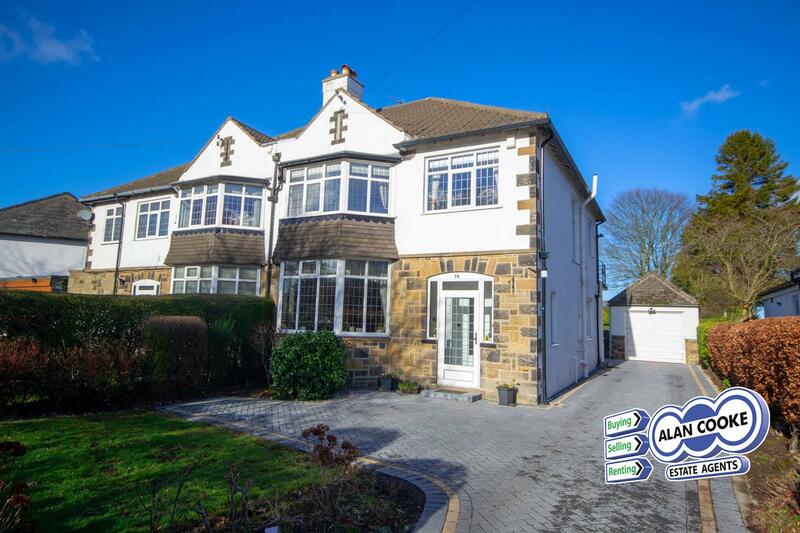 Superb Alwoodley Lane location - a stones throw from The Grammar School at Leeds. Set in approx 1,465 sq m (0.36 acres) of private south facing gardens with open countryside to the front. Built around 1960 and designed to make the most of the natural light, many rooms have large windows facing south over the garden. 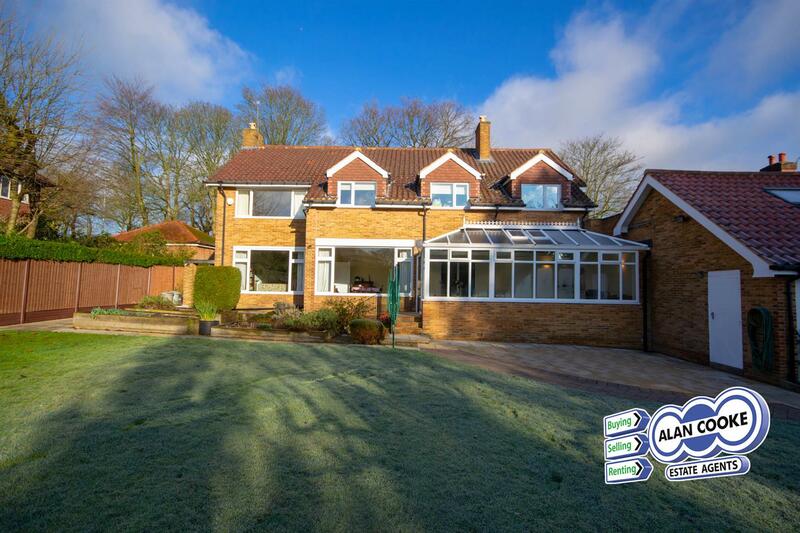 A very spacious five bedroom, three bathroom, detached family residence. 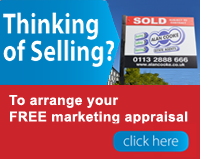 EPC Rating- D.
With modern interiors, full double glazing and gas central heating system. Accommodation includes porch, grand entrance hall, ground floor WC, superb through lounge, dining room, stunning fitted kitchen, breakfast room, sitting room and utility room. First floor has two bedroom suites both with en-suite shower rooms, two further double bedrooms and a small fifth bedroom/office, house bathroom plus separate WC. The grounds have an in-out driveway secured by remote operated gates. Remarkably spacious and expansive south facing gardens. Large garage with ample storage solutions. Proudly located on one of North Leeds most prestigious addresses, with views over Sand Moor Golf Course - a rare opportunity to purchase this fine location single floor accommodation with proud elevated aspect and south facing outlook. 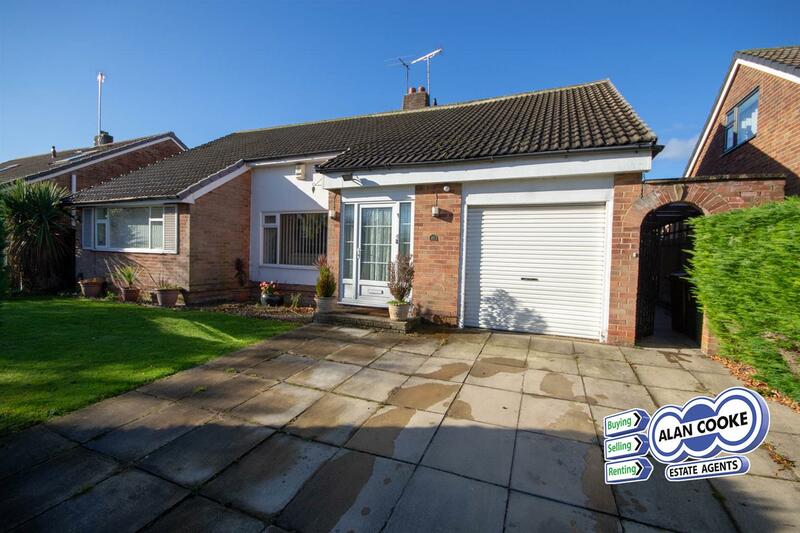 A two bedroom detached bungalow - fully uPVC double glazed and gas central heating system. EPC Rating- E.
Accommodation includes reception porch, entrance hall, spacious lounge, dining room, breakfast kitchen, rear porch, two double bedrooms with built in wardrobes, white bathroom suite. Lawned and stocked gardens with rear courtyard for parking and double garage with remote controlled access. The location of this bungalow is truly exceptional and is ideally suited for mature families wishing for prime real estate bungalows. Offering stunning family accommodation with 5/6 bedrooms and 3 bathrooms, this is a superbly extended detached house in the ever popular Woodleas. 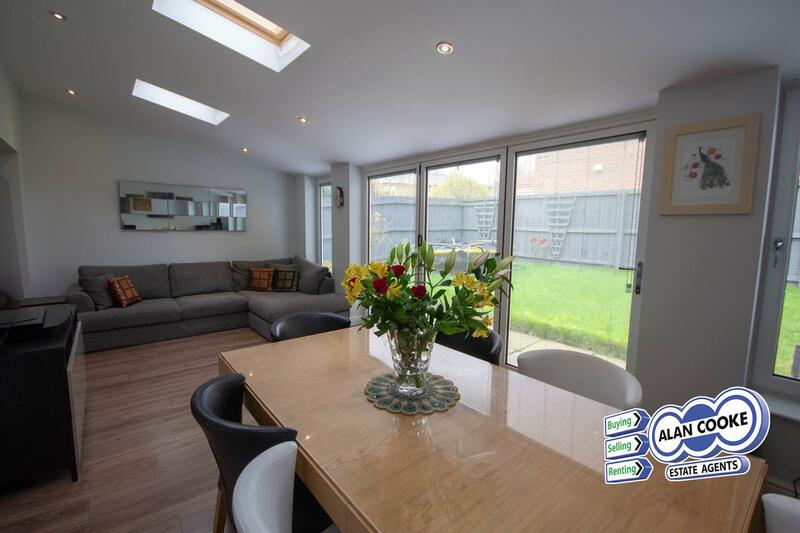 Offering spacious 6.8m (22 3 ) long rear dining room with bi-folding doors to the garden plus a stylish modern kitchen with full range of integrated appliances. The accommodation also includes entrance hall, guest WC, utility room, fine lounge and family room. First floor with master bedroom with fitted wardrobes and en-suite shower room, 3 further bedrooms and white house bathroom suite. Second floor offering well-designed, spacious dormer loft conversion to provide 2 further bedrooms and a shower room. Wide driveway for off-street parking for two vehicles, part converted garage with up and over door suitable for storage. Enclosed lawned rear garden. Fully UPVC double glazed and gas central heating system. RARELY AVAILABLE - Enjoying breath taking sweeping countryside views, lifted straight from a Bront� novel, and a prime Alwoodley Lane location. 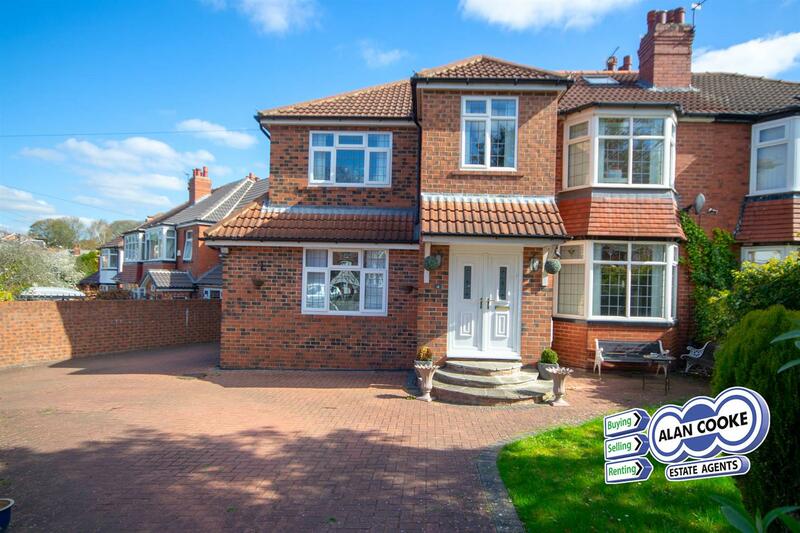 A grand four bedroom, two bathroom semi-detached family residence is available for purchase. Fully UPVC double glazing and gas central heating system. EPC Rating- E.
Luxury single floor living with exciting potential to add further accommodation (subject to necessary planning approvals), in an enviable location. 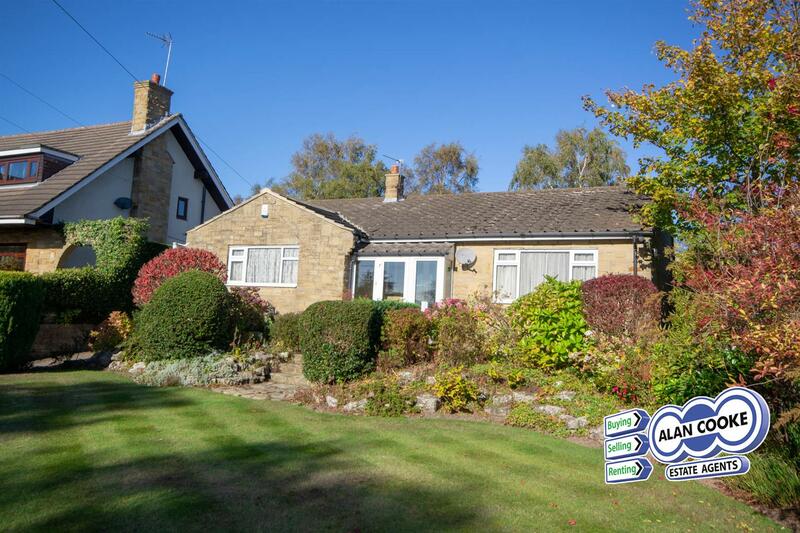 A spacious three bedroom, three bathroom detached dormer bungalow set in good size gardens situated in one of North Leeds most desired residential locations just off Wigton Lane. Accommodation includes entrance porch, lounge, dining room, fitted breakfast kitchen, rear porch with access door leading to integral garage, lovely garden room, master bedroom with deluxe en-suite shower room and built in wardrobes, second double bedroom with built in wardrobes. Loft room that has been converted to a spacious bedroom with en-suite shower room, plus additional spacious loft storage offering further potential for development. NO CHAIN - Offering unique and spacious accommodation, a successfully extended five bedroom, three bathroom family house is available to purchase. Mostly UPVC double glazed and gas central heating system. EPC Rating - C.
Accommodation includes entrance hall, superb through lounge, family room, fully fitted dining kitchen with integrated appliances, first floor landing with double bedroom suite and ensuite shower room, top floor bedroom suite with ensuite bathroom, house bathroom. Secure gated driveway, lawned and stocked gardens. The property is well located between Roundhay and Moortown, offering convenient access to shops, schools and local amenities.